48 pages of B/W illustrations, Full color wrap around cover, size 8.25 x 10.75 perfect binding (square). No one draws women with as much grace and elegance as Mitch, no matter their shape or size. You can’t help but stare and marvel. 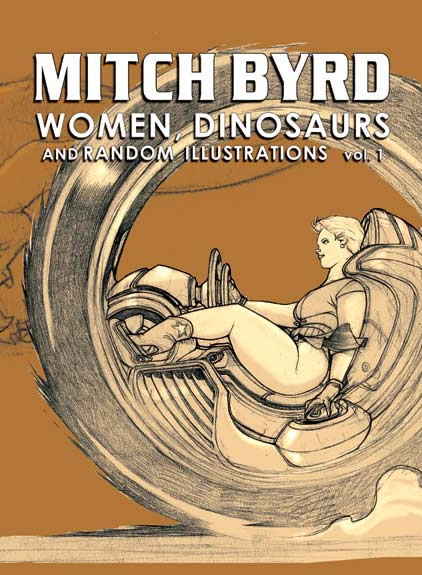 And no artist puts more thought into dinosaurs, how they moved, why they had certain bone structures and features than Mitch. Mitch’s incredible charming artwork comes to life with this ultimate handbook on illustrating comic concepts. 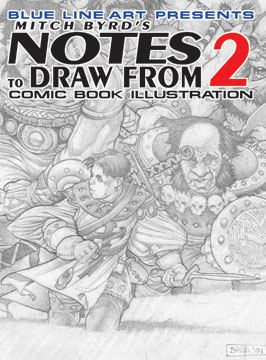 NOTES TO DRAW FROM: COMIC BOOK ILLUSTRATION inspired by Mitch’s years of professional work and columns in Sketch Magazine, displays the processes and important ideas central to comics such as page layout/composition, character design, perspective, and much more. All this is achieved with complete and precise narratives complimenting step-by-step visuals that combine to paint a full understanging of comic drawing concepts. 104 pages. 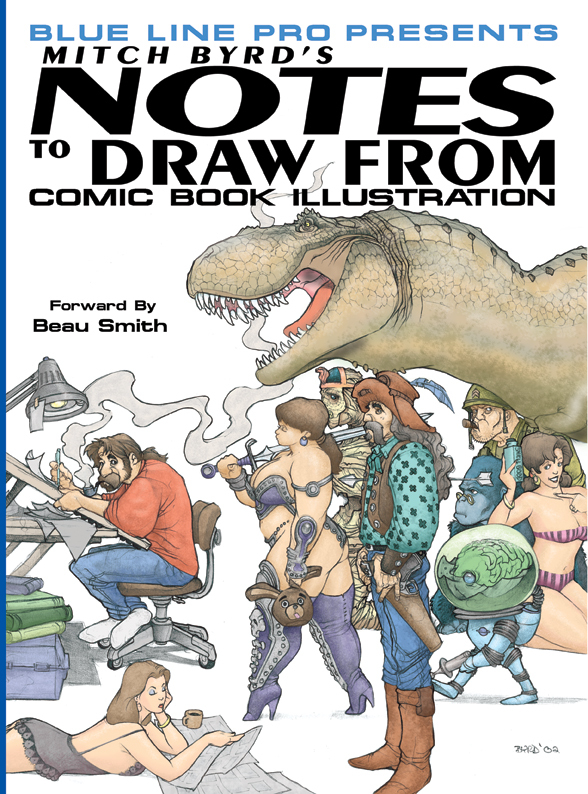 Mitch Byrd is back with his incredible charming artwork for a second volume of Notes to Draw From. 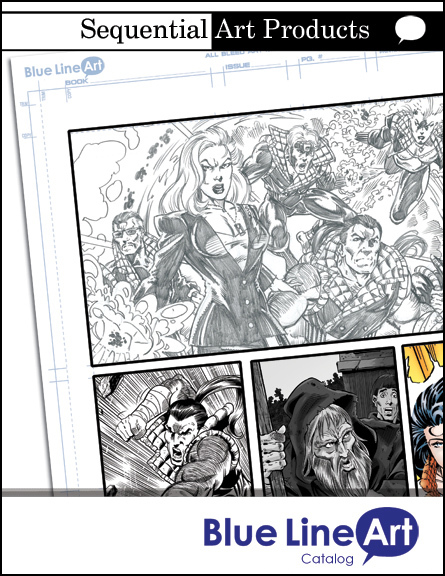 Mitch’s artwork comes to life with this ultimate handbook on illustrating comic concepts. NOTES TO DRAW FROM 2, inspired by Byrd’s years of professional work and columns in Sketch Magazine. After all great wars, the generals would retire and some would just fade away. Not true for the soldiers with dirt on their faces and blood on their hands. They became Mercenaries. When others quit,they kept fighting. Beau Smith is one of those soldiers. 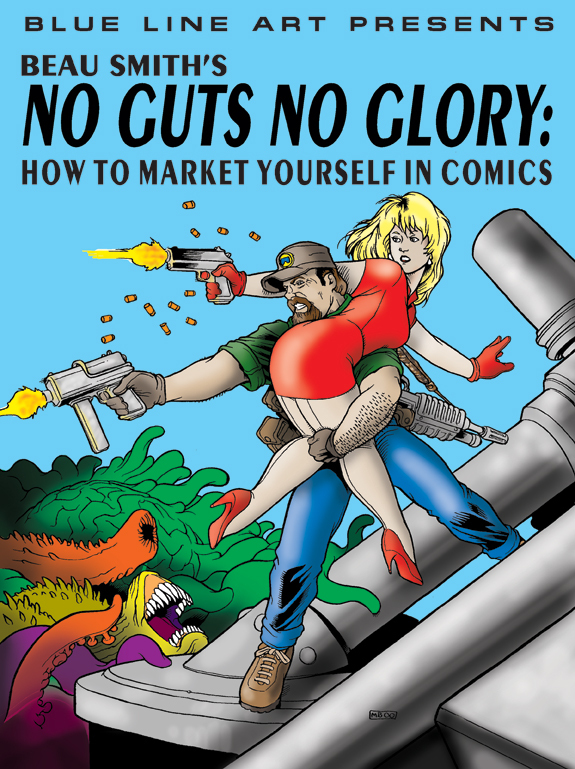 In his new book No Guts, No Glory: How To Market Yourself In Comics, Beau Smith, former Vice President of Marketing for IDW Publishing, Todd McFarlane Productions, McFarlane Toys, Image Comics and Eclipse Comics invites you into the tenches where the real battle in comic books is fought.